Credit for this article goes to a discovery by Martin Franklin. Thanks to a comment from him, I discovered something that may be of major importance to folks doing Ajax development on ColdFusion 8 boxes. If you do any work on a ColdFusion 8 box and do not have control over the Administrator settings, beware of the Secure Prefix setting. About two years ago I blogged about ColdFusion 8 security features. One of them is JSON Prefixes. This is the ability to prefix all JSON results (generated by CFC, returnFormat=json) with a prefix. What’s cool about this feature is that all the front end stuff ColdFusion uses will recognize this setting and automatically strip the prefix before processing the result. 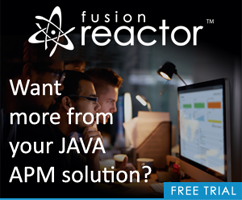 What isn’t so cool about this feature is that if you aren’t using ColdFusion 8’s front end AJAX stuff, then this can really trip you up. Imagine you’ve done all your work locally before pushing the code up to a shared host. All of a sudden your code stops working. It may be a good idea to pop open Firebug and look for something in front (like the default prefix, //) of the JSON response. Running the page again, I now saw this in the console: parseerror. This correctly disabled the prefix and my code worked fine again.